The aesthetic similarities between season one and season three of True Detective have been discussed at length since the latter’s premiere earlier this month. But the trailer for next week’s episode, “If You Have Ghosts,” marks the first time a direct reference has been made to a previous season’s storyline, all but confirming a shared universe spanning the entire anthology series. Twitter user @shanerp14 took a screengrab of the moment in question at the 18-second mark, in which a not-so-subtly placed laptop displays two very familiar faces. See it below. “Former State Police Officers Stop Alleged Serial Killer,” reads the headline above a photo of season one protagonists Rust Cohle (Matthew McConaughey) and Marty Hart (Woody Harrelson). Rust and Marty’s story wrapped up in 2012 and it’s 2015 in the season three timeline, so one wonders why it’s resurfacing here. Is it just an Easter egg? Or could the “man with the scars” play a role in the case that’s haunted Mahershala Ali’s Wayne Hays? Will McConaughey return for another round of stoner monologues? Will the Lone Stars flow like water? Exactly how connected the two seasons are remains to be seen, and whether this has anything to do with Ray Velcoro’s handlebar mustache is even more of a mystery. 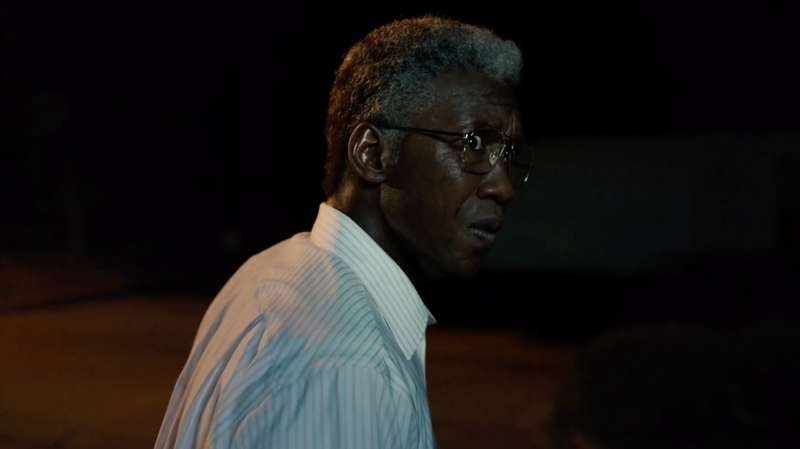 But, hey, a good mystery is what True Detective is really all about.